The third installment in a series of action-packed TPP shooters with persisting noir movie atmosphere. Max Payne 3 was developed by Rockstar Games, who took over the franchise from Remedy Entertainment. 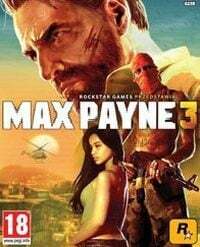 Max Payne 3 for PC, PS3 and X360 is another installment in the game series started by Remedy Studios (also known for Alan Wake). This time the game was prepared by one of the subsidiaries of Rockstar company, the creators of such titles as Grand Theft Auto, Red Dead Redemption, and Bully. The developer sought to preserve the characteristic atmosphere of the original games, while expanding the universe of Max Payne. New adventures of the titular character take place several years after the events of the previous games. Max, an ex-cop with a stormy past, spends his free time loitering around bars and avoiding trouble. Unfortunately, problems, as they do, find him anyway. As a result of an unpleasant incident in New York, Payne goes to Brazilian city of Sao Paulo, and takes a job of a bodyguard for an extremely rich family. It turns out that this seemingly straightforward job will require Max to use all of his abilities. The story of Max Payne 3 for PC, PS3 and X360 unfolds with the help of dynamic cutscenes, which take a comic-like form, known from the first and the second part of the series. The new adventures are a mix of current events that take place in Sao Paulo and flashbacks from Max’s memories from New York. Thanks to that solution, Rockstar was able to recreate the atmosphere of the original games by Remedy Studios, and at the same time present a completely new environment: a South American city flowing with corruption and crime. In this struggle, Max fights against violent gangs and paramilitary organizations. For the purposes of the third game about Max Payne, Rockstar tweaked their RAGE and Euphoria technologies in order to faithfully recreate gunfights. Characters involved in exchanges of fire, including Max himself, react dynamically and realistically to what is happening on the screen. This is even more important, since the pinnacle of the gameplay mechanics is still the famous bullet-time mode – slowing time significantly, thus giving the player an upper hand in tough situations. The gameplay was also enriched by the system of covers and a couple of other interesting features. Max Payne 3 for PC, PS3 and X360 is not just a single player campaign, but also a set of various multiplayer modes. One of the social options in multiplayer allows you to create a gang and reap real benefits from playing with friends. The Rockstar game may not be a revolution in graphics, but it does look impressive with all its realistic animations and the attention to details. It is worth noting that Max's voicing and performance was done by James McCaffrey. Max Payne 3 game guide contains detailed description of all fourteen chapters of the singleplayer campaign.